As we seek to pursue excellence, the opportunity has come to continue the legacy of Grace for another generation, and to build upon the foundation established over the last ten years. Grace. Family. Legacy. 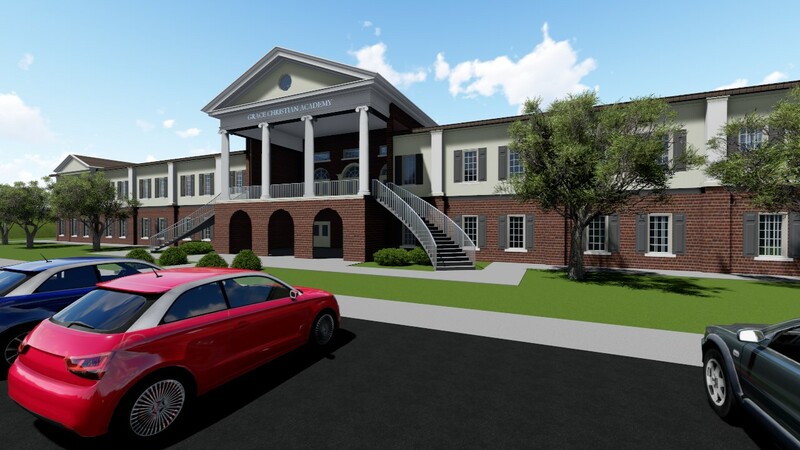 reflects the vision and mission of our school, and calls the GCA family and surrounding community to join together to build new facilities on the existing property. Because of the high demand of great families wanting to join our school, our admissions process grows more rigorous each year as we continue to unapologetically adhere to our mission without compromising or diluting our high standards. However, Christian families who meet all of our admission requirements are continually being turned away from our school because we simply cannot physically accommodate adding more students. Come learn more about ``Grace. Family. Legacy.`` and how your family can be ALL IN with us during this exciting time! Sign up now for a ``Grace Family ALL IN-fo`` small group session by clicking ``SIGN UP`` below. © Copyright 2019 Grace Christian Academy.